A man suddenly finds himself on a path to the afterlife in Newell’s inspirational-fiction debut. In this book, the author deals with the age-old question, “What happens to me after I die?” His narrator, an engaging Everyman, is enjoying his morning at a coffee shop when his perceptions abruptly alter and he suddenly finds himself on a wide road. Streams of people travel the road’s easy path and a much smaller group travels in the opposite direction. The main character can clearly see signs marking the road as the path to Hell, but, to his bafflement, he finds that the people on it have no idea of where it’s heading. 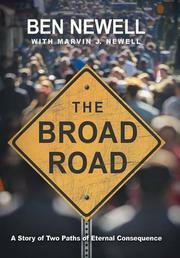 Over and over, he asks variations of the same question to people he encounters: “Do you know what road you are on, and where it leads?” Newell intersperses the man’s adventures with third-person narration to effectively drive the point home, asking traditional Christian questions about Hell: does it exist? Would a loving God send people there to suffer torment forever? “Could there be someone screaming your name, hoping that somehow you will hear them and change your life’s course?” He also effectively shapes his story with old-fashioned, Pilgrim’s Progress–style religious allegory, having his traveler meet such characters as the “Us Family,” headed by A.A. Pretending; Miss Taken; and Bourne Wright. The book makes sure not to spare religious people, either—the main character also talks with the Rev. Do U. Feelgood of the First Church of Misconception. Overall, the novel repeatedly drives the point home that Hell is real and that Christians should do everything in their power to help others avoid it. As a result, this book appears to target not only Christians, but also readers who can possibly be frightened into faith. A detailed, allegorical discussion of Hell and the many ways to get there.